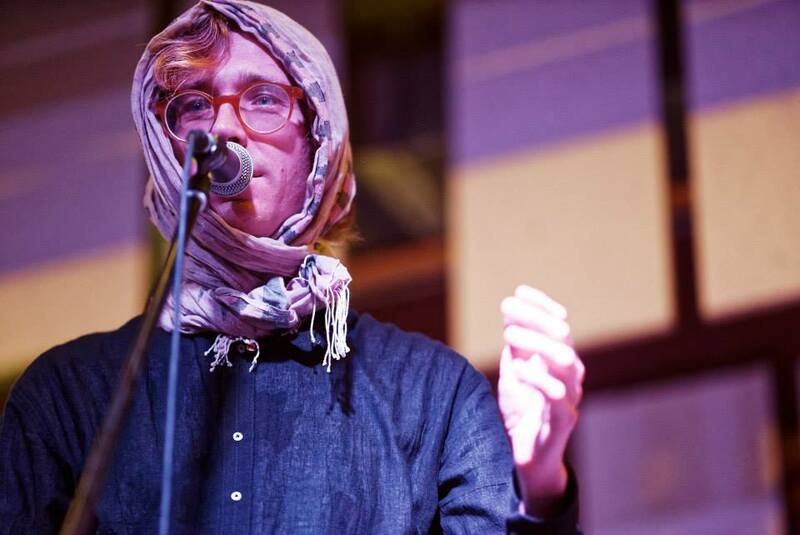 The Perks & Quirks of Erlend Øye. As Oye and the Rainbows climbed to the stage, the quickly got to setting the tone light-heartedly, simultaneously garnering and warming up the crowd with twinning vocals and paired melodic saxophones and trombones, with synthesizers subtly complementing the atmosphere. 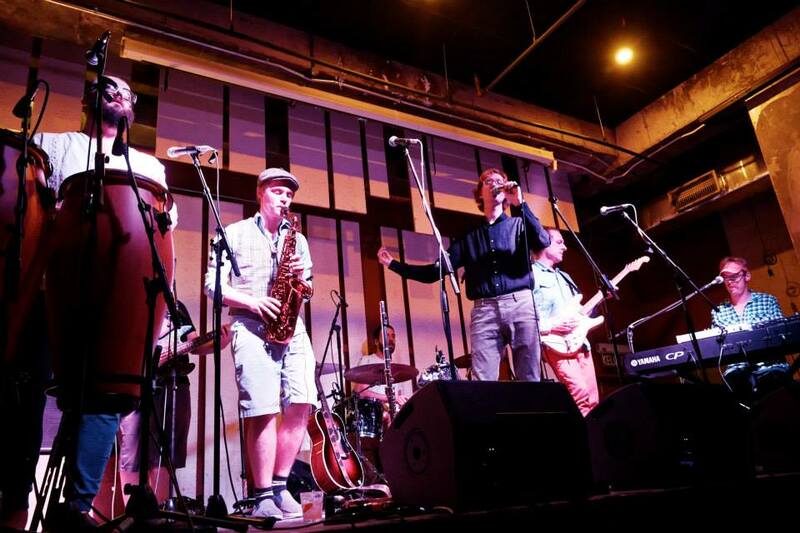 Oye and the Rainbows smoothed the atmosphere for socialites to sip their beers and have light conversation under the hub of his live music. Cue into their second song ‘Gravity’ as the bassist slides in, picking a groovy bassline, (not something you’d expect of a bassist playing for a Norwegian-influenced reggae artist), something long-time fans of 311 would enjoy and find familiar. 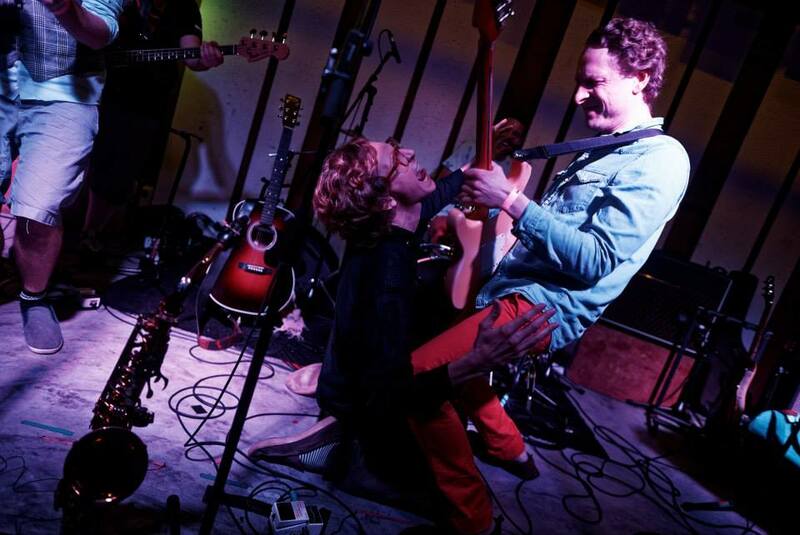 Erlend Oye is an all-natural performer, displaying cheeky antics onstage, showing himself to be a natural band coordinator. At one point, Oye curtly took a minute off-stage to get his scarf before wrapping it around his head, cheekily pointing to a fan wearing a ‘tudung’ (headscarf for Malay women) telling her he now understands the practicality of the headscarf to protect against cold winds (which were apparently blowing directly unto Oye). We find couples, hand-around hips and necks, swaying and bobbing their heads to the infectious charisma and energy of Erland’s tunes while he introduced the band before aptly taking off his scarf, perfectly timed before the drummer ended his solo, and heading back to the mic again, impeccably reaching his cue to the chorus. I was personally impressed with his control of the band onstage in possessing the crowd response. Reverbing synthesizers catch you with a steady, maintained drum-beat cueing the crowd for Oye and the Rainbows’ version of a ‘bass drop’. The crowd got pumped, made space to dance, then a daft-punk-ish guitar riff enters. Erland leads the crowd like a pied piper into imitating his movements. He then breaks into an unexpected scream, inviting a guitar solo before he hops around stage in a musical euphoria, facing the crowd and instigating them to flail their ‘jazz hands’ toward him. Oye even got the crowd to chant a few ‘woop woops’ with him! The Rainbows then hit descending musical scales that avenue Oye’s Italian lyrics. The band then ends in a semi-high tone, leaving the stage hungry for an (prepared) encore, to which Oye obliges a few minutes later as he gets back on-stage with an acoustic guitar, kindly requesting patrons in the room to hum the intro guitar line for ‘Rule My World’, a title most Kings of Convenience fans were more-than happy to hum along to. The first to join Oye in his encore was the drummer, followed by the rest of the band as they hit the first notes of ‘Say Goodbye’. Amidst the twangy-raggae beat, Oye holds a fist and starts pumping toward the crowd, urging solaced fans to slowly crouch and rise to the descending and ascending sounds. Oye then takes to the mic to explain how their music is made as each member takes a few bars each to solo before heading back into a musical frenzy with the rest of the room. Ultimately got 3/4ths of the room to crouch to the ground before they hit their last notes, received their due praise, and descended off-stage as true artists. Purchase Discount Medication! Doxycycline Nhs Price. Express Delivery, I Need To buy doxycycline . Cheapest prices Pharmacy. prednisone online Order . Approved Pharmacy, Generic Prednisone Order.